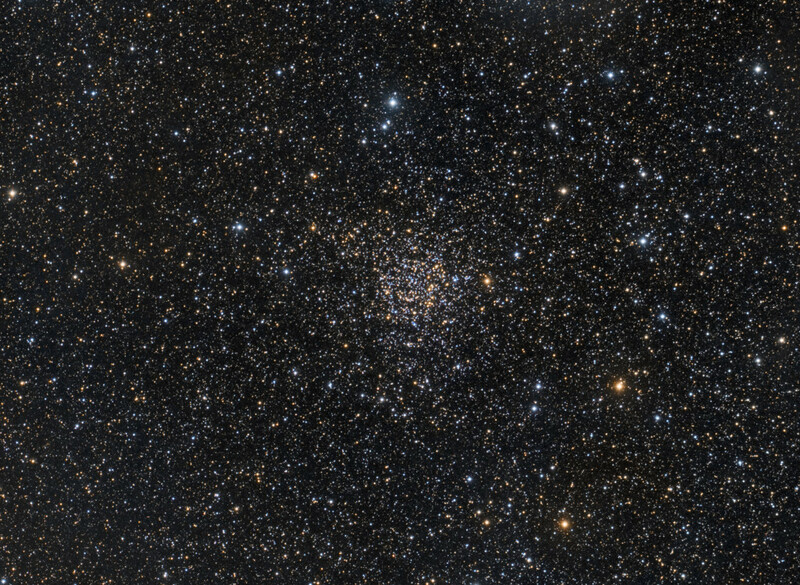 NGC 7789 is an open cluster in Cassiopeia that was discovered by Caroline Herschel in 1783. Her brother William Herschel included it in his catalog as H VI.30. This cluster is also known as “The White Rose” Cluster or “Caroline’s Rose” Cluster because when seen visually, the loops of stars and dark lanes look like the swirling pattern of rose petals as seen from above.